In the Market for a Pre-Loved Model S? Tesla Model S Has What It Takes, Where’s Everyone Else? 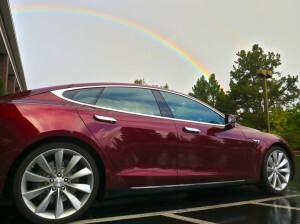 The Tesla S isn’t cheap, that’s for sure, and Tesla Motors is fully aware of that. It’s probably not so much the technology as it is the image. And as luxury cars go, there is a big business for pre-loved super cars like the Roadster. So the company is now launching a program to satisfy this market. So this may be the reason why the company wouldn’t reactivate used, refurbished cars without a looksy – they plan to sell “certified” used Model S’s. This is targeted at the buyer who is on the lookout for quality, but is a bit of a penny pincher. German automakers like Daimler Benz and Bayerische Motoren Werke AG (BMW) have been doing so for ages, and at a nice profit too. Analysts say that Tesla’s foray into the pre-owned vehicle market will be great not only for consumers, but for the company as well. This is helped by the fact that Tesla owns its dealerships, and is poised to make more profit on used cars than traditional car makers. Furthermore, it could help the automaker deal with trade ins. Tesla CEO Elon Musk back in April 2013 guaranteed the resale value of the Tesla S. Those who availed of financing for the sedan could return the car after three years and get 43-50% of its sale price. The company is about to unveil a slew of new cars – the new Model S and probably also the Model D this week, as well as the Model X SUV next year. A cheaper Tesla, estimated at $35K, is also set to be released next year. This will hopefully meet the needs of those who choose to return their cars, and hopefully trade in for one of these new releases. On the other hand, the pre-loved cars can find new owners among those who can’t afford a new Tesla, but would like to go electric. To assuage the fears of buyers purchasing these used cars, the dealership will make a thorough inspection of the returned cars. Tesla’s Christmas Gift to California – A Battery Swapping Station?